Trying to stand out in the fast-paced world of Instagram can be a struggle. There is a constant flow of shadow-banned hashtags, new algorithms and app updates, which can make it hard to keep up. Hashtags have not become obsolete and they can definitely help you increase your engagement, likes and following on Instagram. You just need to know the most beneficial hashtags to use. Are there any Instagram Hashtag rules? Yes. There aren’t many rules when it comes to hashtags, but you need to be aware of them to ensure that your hashtag efforts don’t go to waste. The first and most important rule is that you cannot use over 30 hashtags on a post in one go. Therefore, whatever you do, do not go over the limit. You are allowed to do less than that, of course, but make sure you keep your hashtags within that limit. To make the most out of hashtag opportunities, use up the whole capacity. This will increase the potential of your posts getting seen by a larger amount of people. The second rule isn’t really a rule, but it’s more just a fact that you should know about. Some hashtags have been shadow banned, which means that before you type and post a hashtag, check if it is available to be used first. For example, the hashtag #beautyblogger has been shadow-banned in the past. The easiest way to see if a hashtag has been banned, is to search for it on Instagram. If it doesn’t show up, it has been banned. If it does show up, you have to confirm it has not been banned by tapping on it. Sometimes it will show in the search result, but once you tap on it, it links to a broken page. Once you have gone through the potential hashtags you’d like to use, and you have checked that they have not been shadow-banned, it is beneficial to put together a list of hashtags for your business. That will make your life a lot easier for future posts. The last thing isn’t really a rule, but it’s more of a preference. Instead of including the hashtags in your post caption, post them in the comments section instead. This has to be done as soon as the post goes live. This way your post doesn’t look too spammy and long (especially if you use all 30 hashtags), hence making it more likely that your followers read your caption and engage with your post. As comments aren’t shown automatically when scrolling through Instagram, it is a great way to incorporate hashtags into your Instagram strategy without looking overly promotional. How do I find the best Instagram hashtags? First things first, never use overly generic hashtags. This will most likely result in your post getting lost in the sea of images. Instead, it is important to use more niche hashtags, but not so niche that nobody will search for them. The best way to discover the optimal hashtags for your business and industry is to simply type in keywords into the Instagram search bar. Make sure you click on the ‘Tags’ option to see all of the popular hashtags related to that keyword. This will show you the hashtags related to your chosen keyword, starting with hashtags that people that you have followed follow. This can sometimes mean that those are the best hashtags to use to reach a similar audience. Moreover, you can research the people that have followed those hashtags to get a better insight into that audience’s likes and dislikes, as well as the hashtags they use for their own photos. This way you can add those hashtags to your list to use in your future posts if they relate to the photo you are posting. Don’t be afraid to do a little bit of target market research. It will help you out, even in the world of hashtags. Hashtags that are related to the keyword, but aren’t followed by any of your followers, show up with a post number. This shows how many people have used the hashtag. For example, the hashtag #businesscasual is related to 757k posts, suggesting that it is being looked at daily. The hashtag #businesscards is related to 1.2m posts, suggesting that there is a large audience that posts with that hashtag every day, and is potentially good to use for your business as well. However, it is important to look at hashtags with a pinch of salt. Although the hashtag #business is related to millions of posts, it does not necessarily mean that your post will get seen by loads of people. It is like trying to locate a Cadbury’s White Chocolate Creme Egg – it is incredibly difficult. Don’t get drawn into hashtags with millions of posts if you want a higher chance of being seen by people that will actually engage with your content. Spammy followers are not beneficial for your business. Therefore, it is better to look for hashtags that are not overly crowded. For example, instead of using the hashtag #colour, you can look at Instagram’s other suggestions. You can use hashtags such as #colourinspo #colourmehappy #colourcrush #colour lovers and so on. They are more niche than the overly generic hashtag, hence giving your photos more potential to get seen. It all comes down to being critical and making the most of the amount of hashtags that there are allowed. Simply searching for industry-specific hashtags might not result in your photos to be seen by your target audience. Yes, you might be a business, but that doesn’t mean that your audience is looking for the hashtag #business. For example, if you’re a business specialising in paint, simply using hashtags #businesslife and #paintvibes is not enough. You have to dig deeper into what your audience might be searching for, and still relate it to the photo you are posting. If you use a hashtag simply to reach an audience without it having any relevance to the photo, it might result in the opposite of what you are trying to achieve. Doing that appears incredibly spammy and untrustworthy, which is not the kind of image you want for your brand. Going forward the paint-business example, if you post a photo about somebody painting a picture, you can use hashtags related to artists, paint tools, the interior design in the photo, the colours in the photo etc. It doesn’t always come down that what is in your photo either. You can tailor your hashtags to fit the voice of your target audience. If your audience prefers a more relaxed approach, you should look into hashtags like #ThrowbackThursday #MondayMood, which are followed by a large amount of people. This can increase the likelihood of your posts getting seen by your audience. It all comes down to knowing your audience – what they like, what they dislike, what they’re searching for, what they are interested in and what they believe in. Therefore, before you do anything at all, make sure you have written down the characteristics of your audience, including their tone of voice. Without doing that, it is impossible to understand what hashtags they might be using themselves. Can you just make my life easier? Yes, of course we can. If you’re in a rush and would rather copy and paste some hashtag package, we’ve got your back. We know it is hard to determine what hashtags are the best, so we have put together hashtag packages depending on the type of image you would like to post. In this blog post, we are covering small business, digital marketing and podcast hashtags, as those are the most related to our business, but expect some more in the future. All of the packages include 30 hashtags, because that is the limit per post on Instagram. Mix and match the packages as you wish to make them relate to your post as much as possible. Just copy the whole package from this blog to your Instagram post – it’s as simple as that. If you’d like hashtags for a different industry, let us know! We’d be happy to make your life easier in the crazy and fast-paced world of Instagram. All in all, you should have fun with your Instagram profile. It’s a way to visually showcase your brand personality, and to build a more personal connection with your audience. As long as you’re doing that, you’re on the right track. Why not also check out our blog post on the best free Instagram photo editing apps with quick and easy tutorials on how to use them? 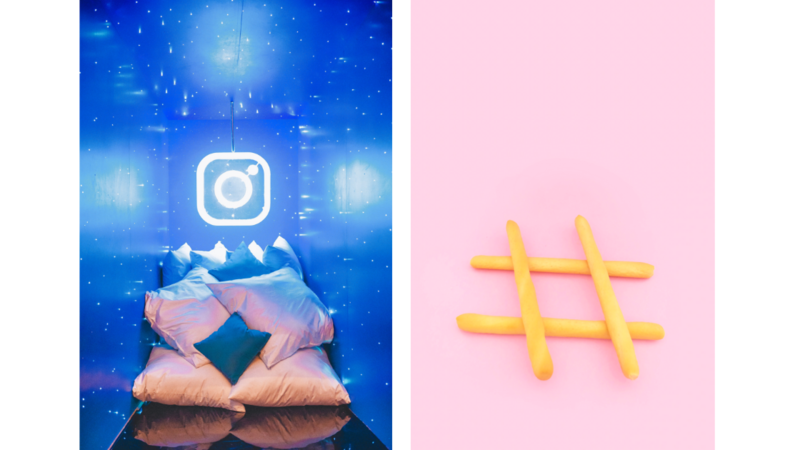 It might be time to make your Instagram feed as aesthetically pleasing as possible, and it doesn’t have to be difficult. 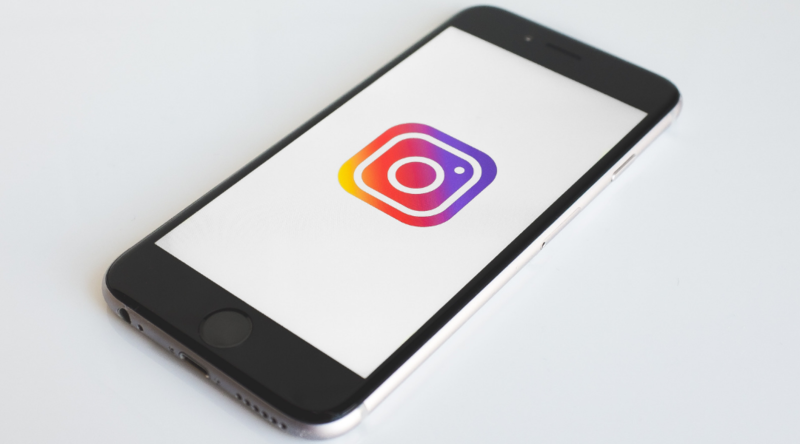 If improving your brand presence on Instagram seems like too much of a hassle, we can do it for you! We aim to think like you, and to think like your customers, to make sure your business is getting the most out of social media.